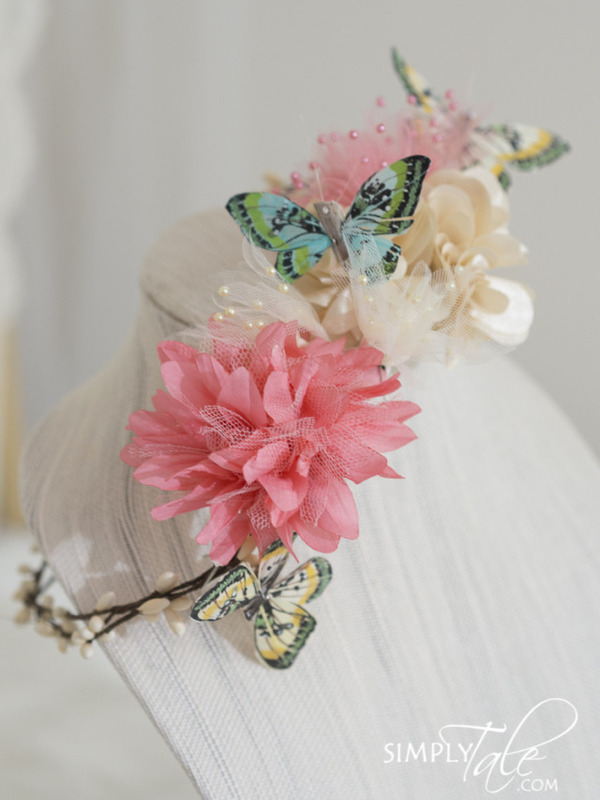 With the spirit of Spring on mind, I collaborated butterflies onto the crown. Oh how, I longing for Spring so much. When the temperatures are just right, the flowers are beginning to bloom and the birds are chirping. It’s the season of life. Just like the other crown I made, the decorative part can be worn multiple ways. STEP 1: Get your supplies! I bought all of my supplies at multiple craft store: Jo Ann, Hobby Lobby and Michael’s. 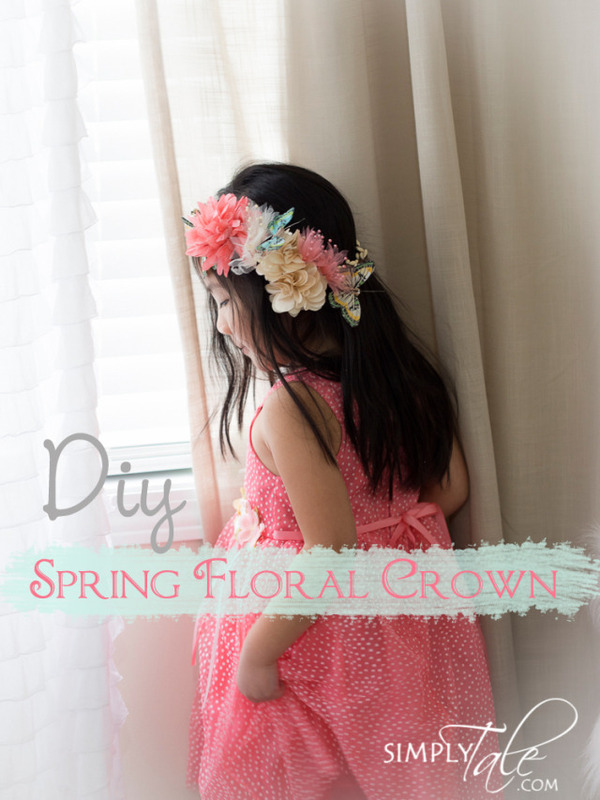 What you will need is a handful of selected silk flowers, floral wire or garland for the crown base, any accessories you like to put on your crown. 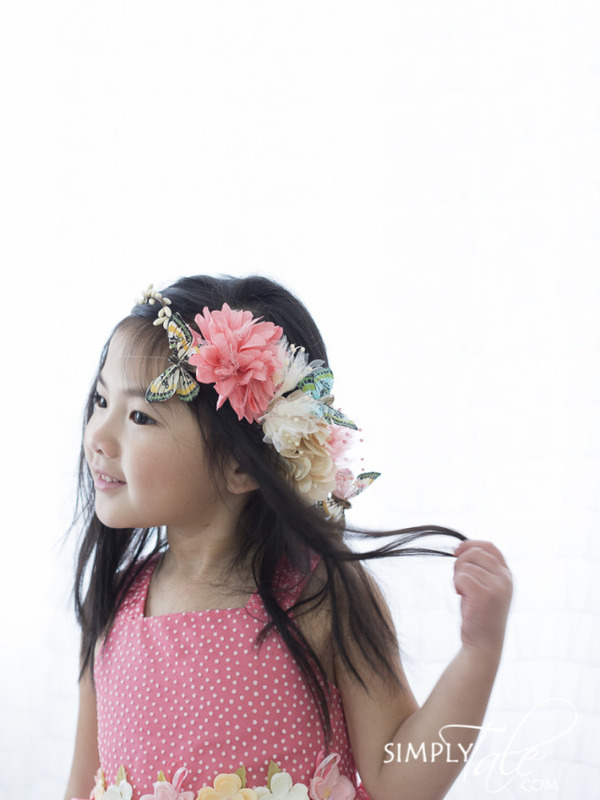 STEP 2: Take your floral wire and shape it into a circle that fits comfortably on your head. I would suggest making it a little loose because the flowers end up making it fit a bit snugger at the end. STEP 3: Begin arranging your flowers and any accessories on the crown prior to attaching them. Actually, there is really no “right” way to arrange your flowers. Just play with it until you feel like they lie the way you like. Attached the flowers to the crown with glue gun and cover it with a piece of felt. The felt will hold the flowers in place. If your flowers have a good long stem / wire, you can wrap your flowers directly onto the crown. Voila! You have yourself a flower crown! 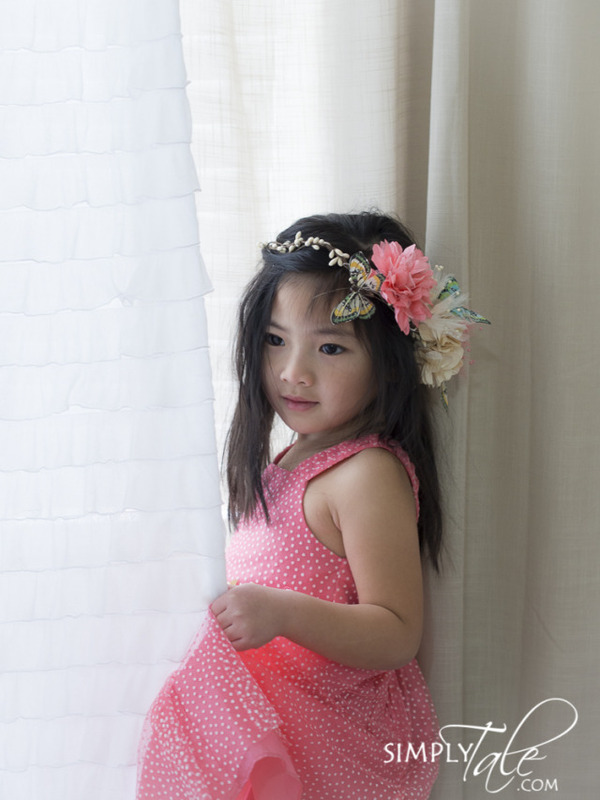 I can see Savannah wearing this Butterfly crown often this spring. The color is just subtle and the design is very free-spirited. So you’ve seen all of my three Flower Crown and Floral Headband designs. Which one is your favorite? Thanks for reading ! May the spirit of Spring brings you new hopes and warmth . If you don’t feel to be craftsy, you can purchase this item at my Etsy store.